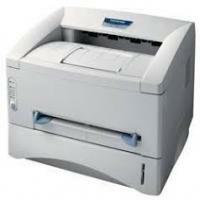 Samsung ML-3560 is a monochrome laser printer from Samsung ML series. The compact printer is a great pick for home as well as office users with an average amount of printing jobs per day. The USPs of this laser printer include the excellent quality and high speed printing, multipurpose tray that supports flexible media handling, small design, and ability to create professional documents with watermarks. The Samsung ML-3560 uses high quality Samsung ML-3560 toner cartridge to print up to 1200 x 1200 dpi of effective output. It comes with an optional second input tray and you can also add automatic duplex unit (optional) to it to save more. Both the standard feeding tray and the optional tray can hold up to 500 sheets each. The printer has 32 MB of memory which can be expanded to 288 MB. The printer also has the option to add an external hard disk that helps the users to send the print queue to the hard disk which reduces the workload of the PC/Mac. The printer has simple LED display with navigation and functional keys as control panel. This Samsung ML 3560 printer model boast only the printing function. It measures 17.8 x 15.6 x 13.9 inches and weighs 37.5 pounds. The Samsung ML-3560 is a compact printing device that works best for small organizations. Its capacity of holding up to 1000 sheets makes it more reliable for whole day printing jobs at offices. This lightweight and low cost printer only has USB connectivity option that can be an issue for modern offices that prefer wi-fi networking. Q. Are Samsung ML-3560 toner cartridges compatible with ML-3561 laser printer? A. Yes, ML-3560 toner cartridges are compatible with ML-3561 laser printer. Q. Can I know the shelf life of the compatible Samsung ML-3560 toner cartridges? A. The shelf life of these cartridges is 24-36 months. Q. Are Samsung ML-3560 toner cartridges good at cutting down on the number of toner replacements? A. Yes, you will be spared of the task of replacing the toner cartridges if you use these; in fact, you won’t have to replace them too often even if you print in high volume as they have been devised that way. Q. If I place an order for cartridges with you but have to return them due to unforeseen circumstances how will you refund my payment if the order has already been dispatched? A. If the order has been dispatched and you receive the consignment, please return it without signing for on its delivery (if sign for is applicable to your cartridge). If the order placed by you doesn’t require to be signed for, the procedure pertaining to 'Non-faulty items' will be applied which necessitates returning products in original and unopened condition. Q. I need sharper and better colour printouts of images for my business documents. Are Samsung ML-3560 toner cartridges (someone moving overseas handed these over to me) suitable for my requirement or should I look for something else? I don’t know what to do with these cartridges. A. You can go ahead with these Samsung toner cartridges as they are efficient at yielding best quality products. They produce deeper, crisper and vivid images which will be ideal for your business needs and also cut down on printing costs. Q. Are all the 6,000 pages that compatible Samsung ML-3560 toner cartridge prints good in quality? A. Yes, every page, including the very last, comes out printed well by these compatibles. Q. I’ve been told that compatible Samsung ML-3560 toner cartridges yield more than 10,000 printouts. I want to know if the quality of all the printouts is consistently good. A. Yes, these Samsung ML-3560 toner cartridges have been manufactured to deliver top quality printouts as they comply with top-notch standards of excellence in quality and performance all through. You can look forward to sharpness, clarity, and vividness in each of the 12,000 pages you print with it. Q. Do you test the Samsung ML-3560 toner cartridges you supply before packing them? Can I be 100% sure of their quality, should I buy them and will return be easy in case I’m not satisfied? A. Yes, all the printer supplies, including these compatible Samsung toner cartridges we provide are fully tested and meet quality assurance parameters. Returns of our supplies are basically easy and hassle-free; you need to check the consignment carefully when they are delivered and also preserve the delivery note or invoice you receive with your product. We have sufficient arrangements and policies to return both- faulty and non-faulty items. Q. Is toner in toner cartridges very harmful and does it cause problems while printing? What can be done if toner falls on clothes or skin while changing toner cartridges or if the cartridge gets broken? A. Toner in toner cartridges does not cause harm at the time of printing. However, inhalation of toner particles can be harmful as it contains harmful toxins, chemicals, and gases, so respiratory protection should be used if you have to handle a broken toner cartridge. And in case it comes in contact with your skin, wash with off with soap. If you experience irritation on the skin or inhale the toner accidently, consult a physician immediately. And if it falls on clothes, wash it immediately with cold water only and not hot water as it insets toner particles into the fabric.